This is a pass not to be missed. It ascends and descends the Ribbokberg via the Valley Road and has some very steep gradients, which are not problematic as the entire pass is tarred. It's a slow drive offering fabulous and dramatic scenery culminating in the Valley of Desolation. No visitor to Graaff Reinet should miss this opportunity. The pass is 7,3 km long and it is not designed to be driven if you're in a hurry. Permits are required which can be obtained at the entrance gate. 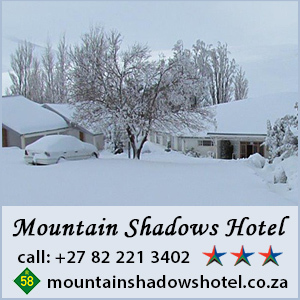 Bookmark this one - it is a real gem and rates high in our Eastern Cape Top 20 passes.